We've signed up, you should too. Good luck! Another from the "People are Strange" lot. 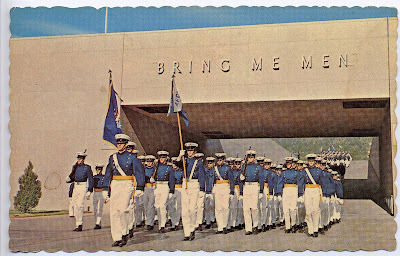 My question, why was this even made into a post card? Right click the image to save it to your computer. And of course, leave your own caption for the photo. What is she the grown up Polly Flinders? The first female chimney sweep? 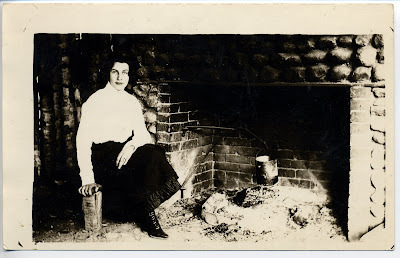 What does she burn in that fireplace of hers? I have started a new project. Not that I need a new project, but I started one. 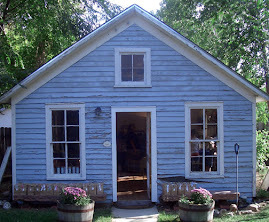 Maybe it came from my summertime frustration of not having enough personal time to be creative; maybe it stemmed from my long time fascination with them; maybe it was the recent article in Somerset Studio Magazine that pushed me over the edge. I started to make inchies. Inchies? you may say. What are inchies? 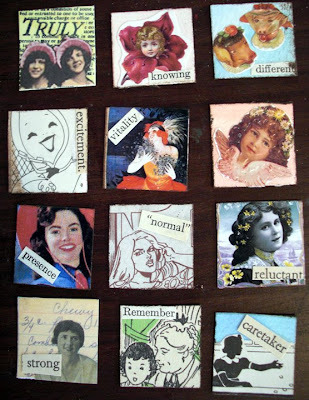 Inchies are 1" x 1" collages of any topic, theme or design. I guess they are sort of a miniature ATC. They can be traded, collected or made into mosaics. They can, very clearly, become an obsession. 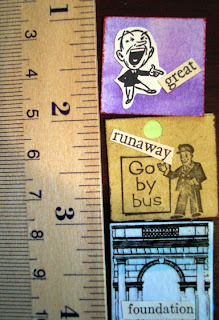 I have been fascinated with the inchies that Lia has posted in her blog Art Junk Girl. The miniature nature of them is enticing and challenging at the same time. The possibilities are endless. When I read the article in our recent copy of Somerset Studios, I decided to give them a try. First, I got out some nice, heavy paper and painted a watercolor wash. Then, I started cutting. We don't have a 1" square punch, so I used the paper cutter. 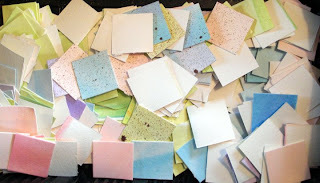 Some of my inchies, I must confess, may be a little bigger, or smaller than a true inch. I started creating the miniature collages right away. I love the collage process. The quantity and variety of collage materials that Kerry and I have collected since we opened the studio is really wonderful to work with. I work well in an "assembly line" style. I cut a bunch of inchies, and worked on general backgrounds for lots of them, without any actual image on them right away. That method my not have the most artistic integrity, but it seems to work well for me. I am drawn to a thematic approach with the inchies; working on "women" or "fruit" or "men" as a group. I can finish one inchie in a short amount of time, which is absolutely necessary with the kids on summer vacation. I am always interrupted! I have no idea what to do with them! I like them, but what are they for--it brings me back to my old and personal dilema of form versus function. Well, one small art project started in this summer filled with kids and interruptions. I have a few questions for you: What should I do with the inchies? 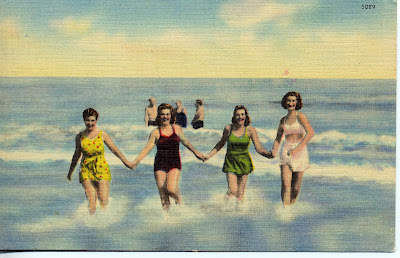 How do you cope with summertime and kids at home? Seamus stops and looks at Paddy, 'You are wrong, that's not the moon, that's the sun.' Both started arguing for a while when they come upon a real drunk walking in the other direction, so they stopped him. 'Sir, could you please help settle our argument? Carla, Oh Where, Oh Where could your comments be? I was recently talking to a friend of mine from California. Carla and I have been friends since the 9th grade when we met at Notre Dame High School in Sherman Oaks. We survived High School together and have always stayed in touch through all of the changes over the years. 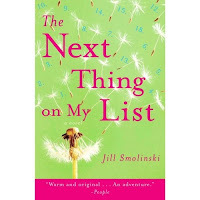 Carla is the type of friend who you can pick up the phone and instantly reconnect with no matter how long it has been. She is a friend forever that I am lucky to have. Not only is she is a great friend but also a loyal reader of our blog. Although have you ever seen a comment from her? No. We spent about 2 hours on the phone yesterday discussing our 20 year reunion where she filled me in on the evening since I could not attend. She confessed her love for our blog but when asked about commenting, she said she didn't know what to write. Well, I have to say, I don't think she is the only lurker out there. When you don't comment we feel like you don't read as well. Sometimes we fell like we are back in high school and not winning the popularity contest. Yes, I know Rachel and I over analyze things and think and talk far too much about this, but it is who we are and at this point we aren't changing. Comment away, let us know you are out there, that what we write touches you in some way. Do you want more giveaways? Do you want more surveys? Do you want more personal mentions? I swear we'll do whatever it takes. So let's make this post the one with the most comments ever. (It can't be hard, our record is 5 comments of which 4 were spam.) And Carla, comment please. Public embarrassment is only something you can forgive a friend of 24 years for. My oldest daughter, Lauren is fascinated by Japanese culture. She has gotten me interested in it as well. So, I was recently on a search for Japanese fabric to make some cute things for us. We like the fabric with little animals and mini-mushrooms. 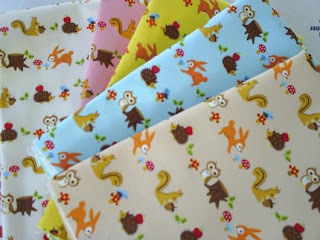 As I was looking through Etsy, some of the sellers referred to using my new fabric in my zakka projects. What is zakka? Is zakka the Japanese word for quilt? Well I had to google it and now I am fascinated with the whole zakka concept. Below is the wikipedia listing for it. Let me know what you think of zakka. Zakka (from the Japanese 'zak-ka'（雑貨）or 'many things') is a fashion and design phenomenon that has spread from Japan throughout Asia. The term refers to everything and anything that improves your home, life and outlook. It is often based on household items from the West that are regarded as kitsch in their countries of origin. But can also be japanese goods from mainly fifties, sixties and seventies. In Japan there are also so called asian zakka stores, that usually refers to Southeast Asia. The interest in Nordic design or Scandinavian design, both contemporary and past, is also part of this zakka movement. Zakka can also be contemporary handicraft. Zakka has also been described as "the art of seeing the savvy in the ordinary and mundane". The zakka boom could be recognized as merely another in a series of consumer fads, but it also touches issues of self-expression and spirituality. Cute, corny and kitschy is not enough. To qualify as a zakka, a product must be attractive, sensitive, and laden with subtext. Another gem from the "People are Strange" series. Right click the image to save it to your computer. Leave us a comment with your own interpretation of the photo. 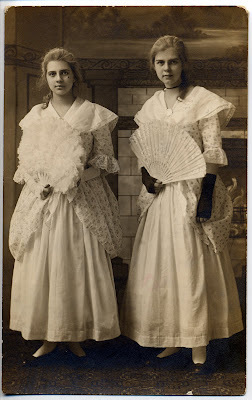 Meet Elsa and Alma Fanning, "The Great Fanning Sisters!" They are awaiting the start of their synchronized fanning tour. Be sure to catch it when it comes to your town. They will be all the rage in towns like Frankenmuth, Michigan; Sugar Land, Texas; Joshua Tree, California; and Brooklet, Georgia. Their show will include singing, dancing, and of course, synchronized fanning. Summer is filled with children playing, lemonade stands, afternoons at the pool, sleepovers, backyard barbecues, and reading. Of course we still work, a little, but who has time!? 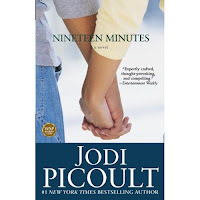 Our book club just finished Nineteen Minutes by Jodi Picoult. 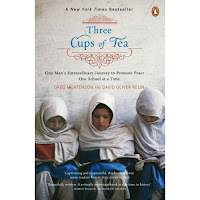 It was a very interesting book and generated lots of thoughtful conversation. Do you remember losing your favorite mitten in elementary school? Maybe it was your lunchbox or your boots. There was always that place where the "lost and found" items would pile up and you could dig through and find what you were looking for. Where do we go now? We are all grown up, and our playground is much larger than it used to be. We just returned from our family vacation to Kauai and realized that one of our cameras didn't make the trip back with us. After several calls to the rental car company and to the hotel, we have had no luck. What a shame to lose a camera! Fortunately, we had another, this was the older camera we were letting the girls use to record their vacation memories. How do you find a camera that could be lost on an island? Hopefully my calls will yield some result. Each member of our family thinks that it was left in the rental car. Perhaps the people who took the car we used, after we did, will find it and be kind enough to return it. Until then, I will post it on a blog called I Found Your Camera. I heard about this website several months ago, and thought nothing of it. Maybe someone will be able to help us out. And if you happened to be in Kauai last week and found our camera, please email me. What about losing other things? While we were gone we received a call from a service called FindToto.com. This was a new one to me. It is a nationwide web service to help find missing, stolen or lost pet. It kind of works like an "Amber Alert" and your neighbors can receive an automated phone call alerting them to look for your missing pet. In fact, in recent weeks, in our small town, there were two pets (one cat, one dog, different owners) reported lost through this service and found after the calls were put out. So I guess we do still have access to "Lost and Found." Virtual Lost and Found websites can be found for colleges and churches and even across Europe. What a good idea! One of our favorite things to do in Hawaii is eat Lappert's Ice Cream. I don't know if it is the giant waffle cones, the tropical flavors or just being in Hawaii, but somehow the ice cream just tastes better. My favorite was the Kauai Pie - Kona coffee ice cream swirled with chocolate fudge, coconut flakes, macadamia nuts and vanilla cake crunch. Molly choose Guava Sorbet each time and Mary and Jeremy loved their Chocolate Chip Cookie Dough. Our only regret is that we didn't have it one more time before leaving the island. We went snorkeling several times on our vacation. Both girls became quite adept at snorkeling and swimming with fins. It was fun to see all the tropical fish and the wonderful underwater expressions on their faces when they saw some new and interesting fish. 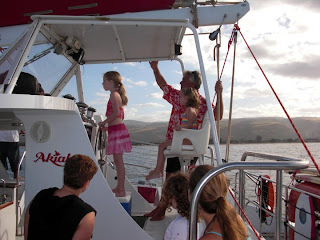 One of the special things we did was a 5 hour snorkel adventure on a Captain Andy's Catamaran. The crew was great! They were attentive and informative. The captain even had each child on board take a turn at the wheel. The trip was beautiful. We sailed up towards the NaPali Coast and saw views that can only be seen from the water. The landscape is phenomenal, with vertical green spires, sheer volcanic cliffs, caves, remote beaches and delicate looking waterfalls. The ocean is clear and vast. We encountered a pod of Spinner Doplhins. 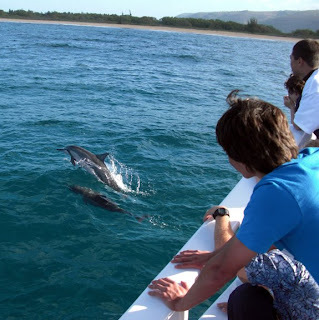 These playful creatures chase and race with the boat. The leap out or the water and rotate their bodies before splashing back into the water, getting the name Spinner Dolphins. Once we reached our destination, the crew anchored the boat and we all jumped in for some fabulous snorkeling. The water was deep and clear, we could see lots of fish and rock and coral formation. It was quite an exciting trip! Roy's Restaurant has been a longtime Hawaii favorite or ours as well as Kerry's. We love their Hawaiian-Fusion flavors, their impeccable service and the beautiful setting of the restaurant. A favorite of Jeremy's is their Fire Grilled Szechuan Spiced Baby Back Pork Rib Appetizer. I love Roy’s Original Blackened Island Ahi with Spicy Soy Mustard Butter Sauce for dinner. Even the girls enjoy the meal, as Roy's has a prix fixe 4-course kids meal complete with appetizers and dessert. This, thankfully, keeps the kids occupied and we can enjoy a sophisticated meal, even without a babysitter. The food was beautiful and delicious. Unfortunately, I never think to take a photo of my meal until after the fact, so you will just have to trust me. While there are several Roy's restaurants across the country, we aren't lucky enough to have one here, in the middle of the country. So, if you have one in your area you will have to try it out for yourself. Our vacation was fabulous! I have so much more to share about our adventures. We are not really ready to be back to reality! It's too much fun in paradise. Stay tuned for more photos and stories. Right click the image to save it to your computer. The room is quiet and no one takes of the Texan's offer. Paddy Murphy gets up and leaves the bar. Thirty minutes later, he shows back up and taps the Texan on the shoulder. Is your bet still good?' asks Paddy. 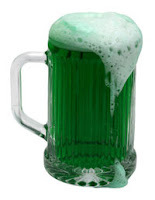 The Texan answers, 'Yes, 'and he orders the barman to line up 10 pints of Guinness. We were fortunate enough to be able to watch all the nest building, the egg sitting, and the worm feeding last spring. 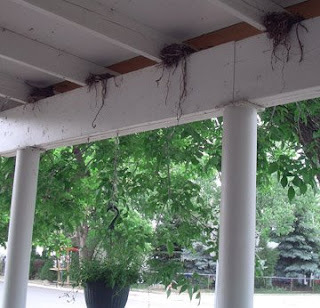 We never removed the nests from the rafters of our porch. This year I noticed some new activity on the porch. One of the nests, the same one the robin used, is occupied. 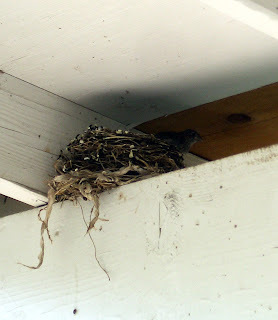 These new tenants are tiny birds, maybe sparrows or finches. They are very shy. We have seen the tiny beaks poking up from the nest and we have seen the flutter of mom or dad to and fro. We aren't sure what type of bird, and they are too shy for a photo session. If you look really closely, at the back of the nest, you can see one of the new tenants. Any idea what kind of bird it is? I guess leaving the nest intact, in their original spot has paid off. Now we have a set of birdie "condos." Who knows, maybe we can start to charge rent! Update: June 20 - Last night I noticed a family of birds living in the nest second from the left. I looks like another family of finches or chickadees. Wow! I really should charge rent. Each year Rachel and I take turns going to Hawaii. We didn't plan it that way, it was already like that before we met. My in-laws take the whole family every other year to Kauai. Rachel and her family go every other year as well to Kauai but we go on opposite years. We stay on different parts of the island. 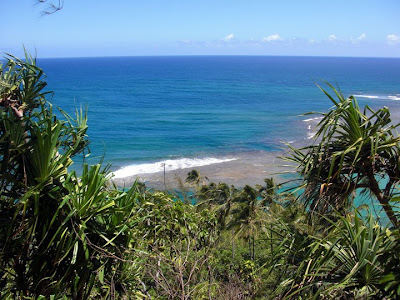 We stay in the main town of Lihue while her family stays about 20 minutes away in po'pui. 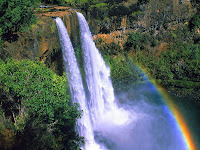 Kauai is a fabulous island and one of the least developed of the Hawaiian islands. Each year we trade thoughts on new restaurants to try (our two favorites are Tidepools at the Hilton hotel and Roy's.) We compare excursions (they like snorkeling and boat rides, we like kayaking and tubing down the sugar plantation's waterways.) As a souvenir, we always bring the other person some Hawaiian coffee. Well, this year is Rachel's turn to be in Kauai. She is there now hopefully enjoying the beach and relaxing. I can't wait to hear about her trip and I am sure neither can you. Here's to Kauai and may everyone get their turn there. This one is just like the classic image, almost. Who are those three people standing in the background? I think they messed up the shot! This week I received a note telling me that someone I had met had passed away. I had only met him once. He was an older gentleman of 81 years. He had 5 daughters, 17 grandchildren, and 5 great-grandchildren. His wife said that he died at home with no pain. If only we could all be so lucky. Nevertheless, the note cut me to the quick. This gentleman, for the past 9 1/2 years held my mom's heart in his chest. After she died, in 1998, we honored her wishes and donated as many of her organs and body parts as we could. It is not something I talk about much. I was somehow comforted knowing that her heart still beat, somewhere. I am happy to know that her heart gave that man and his family more than 9 years of togetherness. I am sad, knowing it has finally stopped. For more information about organ donation contact the Donor Alliance or the donor organization in your area. What do you do when an entire pack of Trident gum is washed and dried with a load of children's clothes? The clothes seem to have survived, the washer and dryer, however, had pieces of gum stuck to the interior and a sugary residue was left, streaking the interior of the dryer. First I scraped the visible chunks of gum off the surfaces. Then I used a sponge and spray cleaner to remove the sugary streaks. No matter how hard I rubbed and scrubbed, the streaks remained. Not knowing what else to try, I pulled out my Magic Eraser . 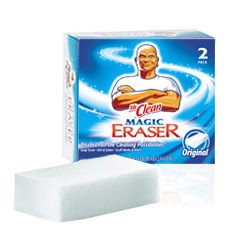 I, myself, am a Magic Eraser novice. Oh, sure I have heard my friends talk about how the magic eraser gets lipstick drawings off the walls, and crayon off the hardwood. But, I only just recently bought and tried the famed Magic Eraser. I had my doubts, what could be that easy? Now I am a true convert! I never knew how well it worked. It removed all the streaks and residue from my dryer. Do I sound like a commercial? I'm not. Just one happy customer. Note to self: Always check pockets before running the wash. It seems like this happens every summer, Rachel and I prepare to semi-shut-down the studio (it is hard to work regularly with 4 kids underfoot.) Instead we decide to give the studio a makeover. Granted we work in an approximately 120 year old building that used to be the kindergarten for the town of Lafayette, so it can always use a little work. We are just constantly striving to make it a more artistic haven. We are also thinking ahead to the Fall, our biggest sales time of year. We are also planning on holding 2 large events after the kids head back to school. We have just started compiling our ideas and will be at work on them over the break. So stay tuned for our continuing coverage of the studio makeover. Paint and messiness ahead!